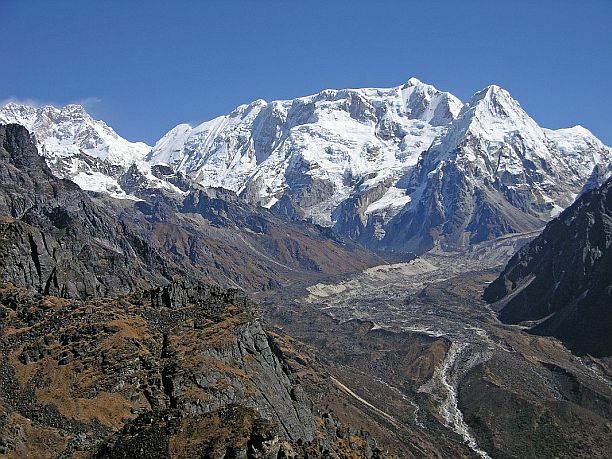 Kangchenjunga is the world's third tallest mountain and is located in the Himalayas, about 100 miles east of Mount Everest. It is 28,169 feet (8,586 m.) above sea level. 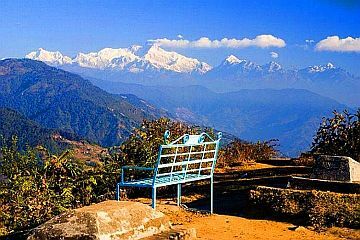 Also spelled Kanchenjunga or Kinchinjunga, it is situated in the eastern Himalayas on the border between northeastern India and eastern Nepal, 46 miles (74 km) north-northwest of Darjeeling, a town in the Indian state of West Bengal. The name translated means "The Five Treasures of Snow." 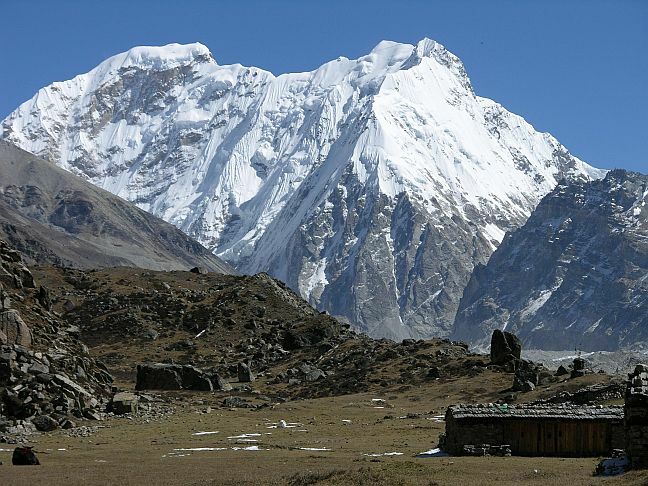 The mountain is one of the many "Giants" in the Great Himalaya Range. The massif is in the form of a gigantic cross, the arms of which extend north, south, east, and west. A British expedition led by Charles Evans first successfully climbed the mountain on May 25, 1955 — team members Joe Brown and George Band were the first to reach the summit.